(RRP £79.99). Chunky low heel shoes and matching clutch bag, made in a soft smooth shiny patent. Versatile and easy to wear matching shoes and hand bag for any occasion. 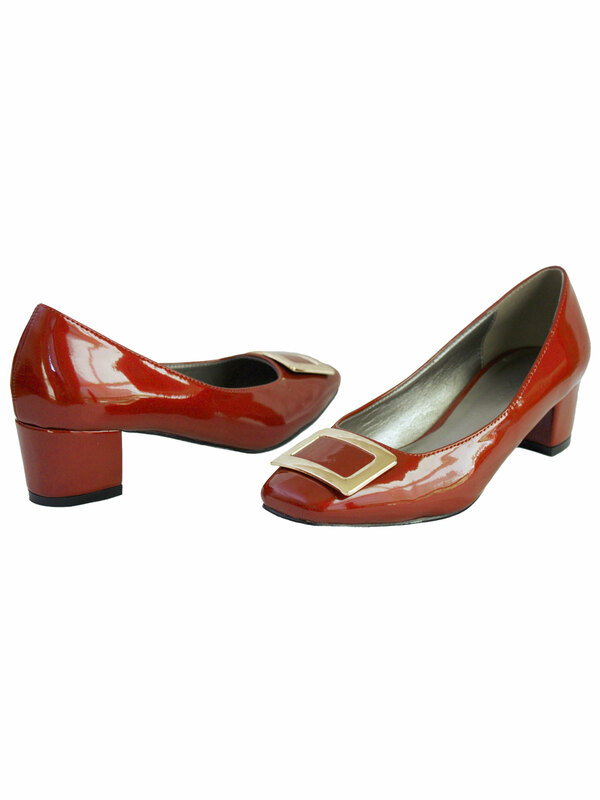 The shoes have a low chunky heel and a rectangular metal buckle at the toe. The bag has a magnetic metal press-stud fastening and a detachable chain. Inside is a same-coloured satin lining with a single slit side pocket. Available in anthracite (grey) and cherry red. Great quality from Lunar. (RRP £79.99). 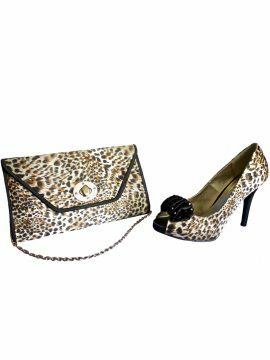 Lovely chunky low heels and matching bag in a soft smooth shiny patent that will be look good for any occasion. For ladies who prefer a low heel shoe, these are easy to wear yet very stylish. A good quality item from Lunar, these matching chunky low heel shoes and clutch bag are available in anthracite grey and cherry red. The chunky low heels have a metal buckle at the toe which is pewter grey on the anthracite and gold on the cherry red shoes.